Let’s face it; we’ve all fancied ourselves a poor man’s version of Dave Grohl at some point. Hell, you might even BE Dave (shout out to the almighty Foo!). So what do you do when you wanna un7leash your inner rock star? You take a shot of Jameson and head to karaoke night. The great layout of the bar, unparalleled craft beer list, and a great DJ make Local my favorite singin’ spot. 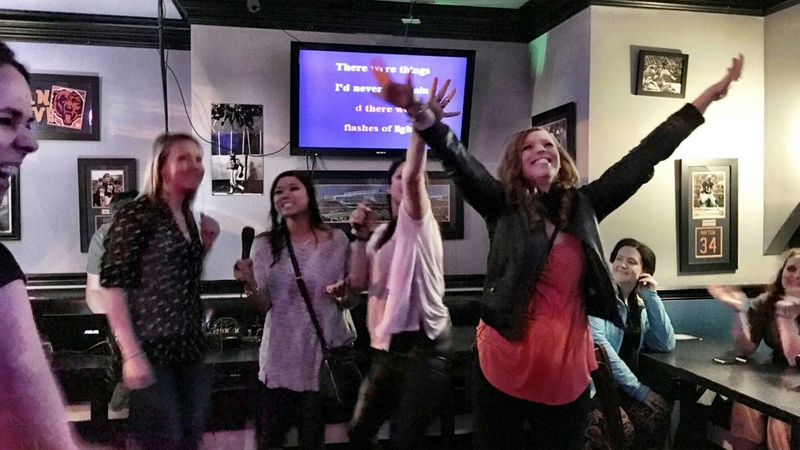 Stop in this River North bar and sing your heart out–they make it a point to get you in the song rotation quickly so the bar isn’t stuck hearing 10 versions of “Don’t Stop Believin'” by assorted bachelorette parties. Grab the gang and head to the Bucktown area for a crazy night at this little dive. Louie’s boasts some of the coolest beers I’ve seen and the most efficient DJs I’ve seen at karaoke. As if that wasn’t enough, they have a popcorn maker too! Pro Tip: get to Louie’s early because karaoke typically works on a first come, first served basis. I feel like Shoes is a bit of a best-kept secret. This Lincoln Park hangout doesn’t necessarily fit in with the plethora of sports bars nearby, but I’ll be damned if you don’t have a fantastic time at Shoes. The DJ is always pretty good with mixing in new song entries with those already in the lineup so you likely won’t wait too long to sing. Want live band karaoke? Piece has got you covered! The band is fantastic ands has quite a list of song options that don’t disappoint. Piece even opens up a small dance area of you prefer to enjoy the show near the stage. Bonus–their pizza is among the best in the city. #TBT to decades past at Brando’s in the Loop. The awesome old-timey vibe, paired with delicious cocktails creates a fun atmosphere perfect for groups. The best part is that you can enter your song choice in on a digital screen–no small paper and golf pencils needed!